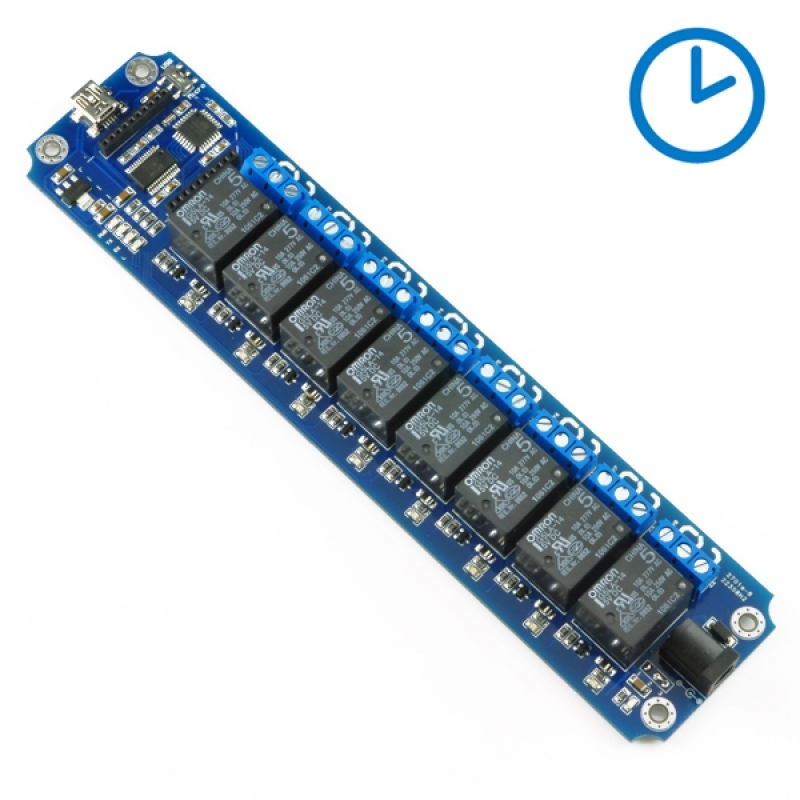 This is a USB/Wireless Timer Relay Module, It allows computer control switching of external devices by using the USB port of your computer! 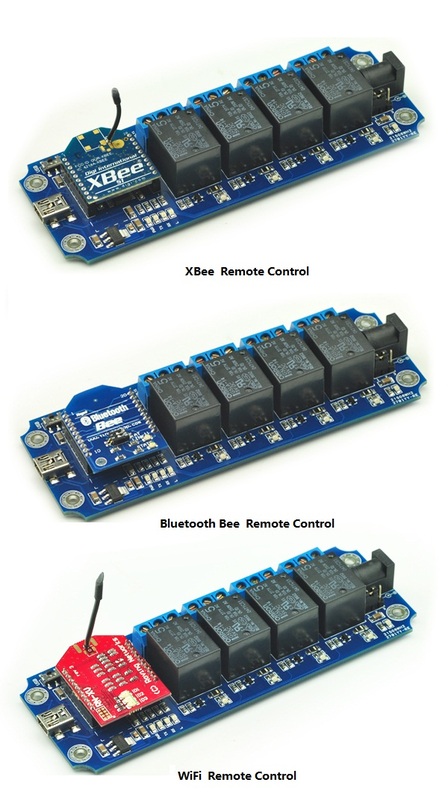 Meanwhile, It has a wireless extension port, can work with XBEE or Bluetooth Bee or Wifly Module, which mean now you can control your device by zigbee or Bluetooth or WiFi ! 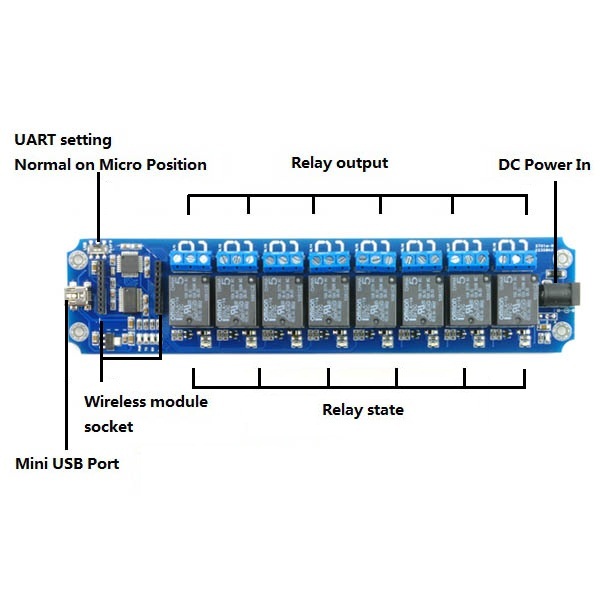 The TOSR08-D module can powered by USB bus or DC power and provides four volt free contact relay outputs with a current rating of up to 10 Amp each. It's also support delay timer function. 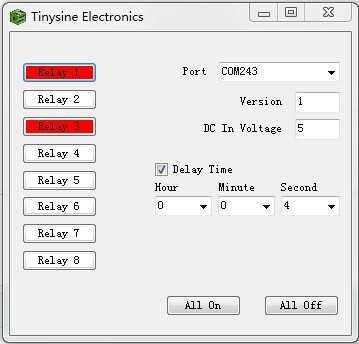 You can set each relay output delay from 0 second - 24 hours. 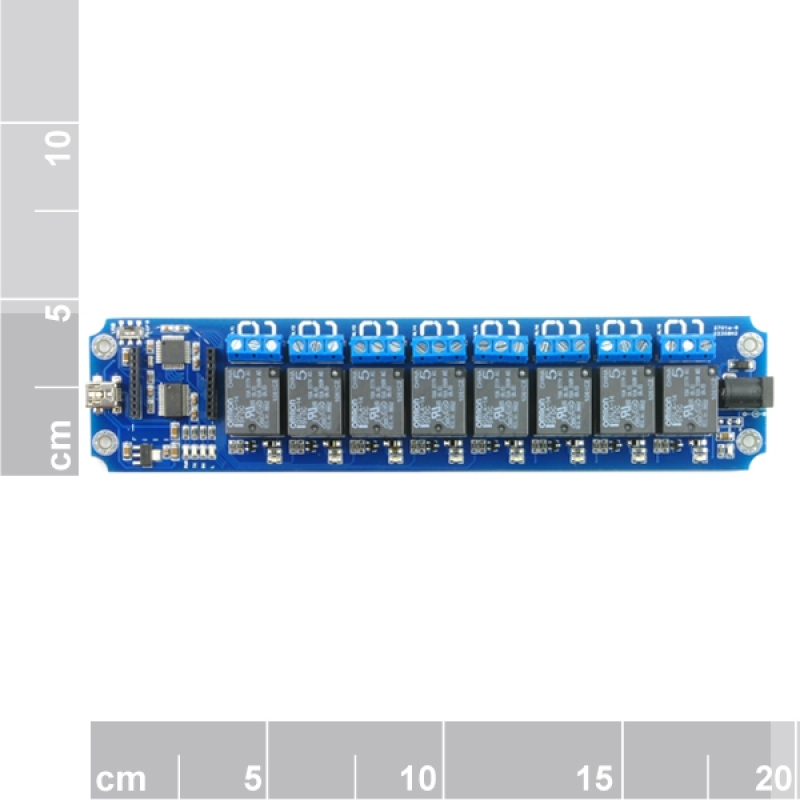 The TOSR08-D module uses FT232RL USB to UART chip . 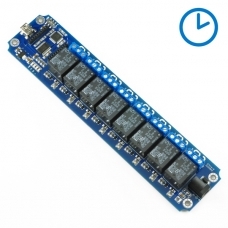 Before using the TOSR08-D you will need to download the FT232RL Driver. Connect the TOSR08-D and windows will detect it and ask for the drivers. Point windows to the inf folder and it will install the driver. 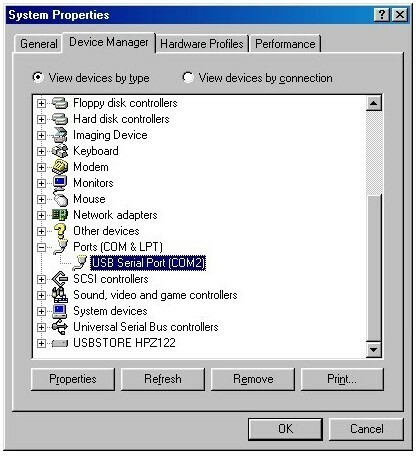 The TOSR08-D will now appear as a com port. The TOSR08-D operates with an easy to use command set as described in the table below. 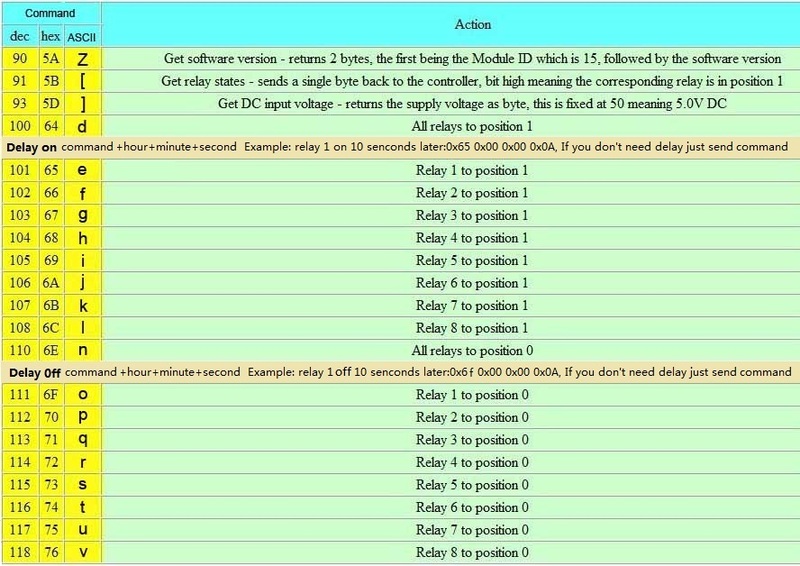 To get the TOSR08-D up and running in the minimum amount of time we have put together an example program to demonstrate the functionality of the module.